Apple released Mac OS X 10.8 Mountain Lion a couple of days ago and the new platform comes already packed with the latest Safari 6.0 version, but for those that won’t update right away, Apple found a solution. 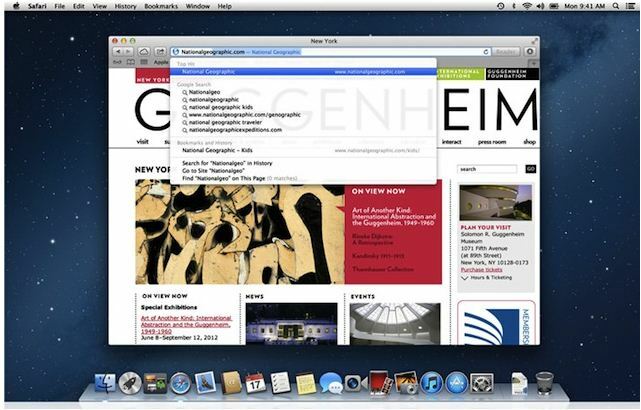 The Cupertino-based company has also come up with updates for several applications within the system and most of all, the launch of Safari 6.0 for Mac OS X Lion, also known as 10.7. Unfortunately, iCloud Tabs and Tab View will not be arriving in this update and can only be experienced after updating to Mac OS X 10.8. Besides Safari 6.0, Apple has also updated services found within the iLife suite, including iMovie 9.0.7, iPhoto 9.3.2 and Aperture, with a wide range and fixes and enhanced support for media services and other issues.